From the 22nd to the 23rd October 2016, the Academy of Ideas’ annual Battle of Ideas took place in London’s Barbican, hosting some 400-plus speakers and casting a spotlight on free speech and a number of critical contemporary issues. Regardless of Britain’s relationship with the EU, the need for a European-wide public conversation has never been more urgent. While based in London, the Battle of Ideas is unapologetically international, with satellite debates throughout Europe. Its 400-plus speakers are from across the world, across the political spectrum and across disciplines, from the humanities to engineering. 2016 has certainly been a turbulent year so far. The stasis of recent decades has been replaced by a sense of unpredictability. Ballot box uprisings have defied predicted outcomes, however carefully pre-planned and stage managed by technocratic elites. For years, we were told the idea of substantive social change was old-style politics. We lived under the shadow of Francis Fukuyama’s End of History and Margaret Thatcher’s “there is no alternative”. Now, recent events – from the Brexit vote to the Trump phenomenon and European upheavals over everything from abortion to refugees – mean that the future direction of society feels open and contestable. For too long, a change of government seemed to mean little more than changing the nameplates in the corridors of power. So, the upsurge in political engagement in recent months has been thoroughly refreshing, even exciting. This year’s festival will have sessions discussing the American elections, a strand of debates to look at the state of the nation post-Brexit and discussions on the prospects of the world’s economy. We will also look at international events, like the attempted coup in Turkey, the soft coup in Brazil, the collapse of the ANC in South Africa and the increasing tensions in and surrounding Eastern Europe. It may be that, on the 500th anniversary of Thomas More’s Utopia, there is a chance to argue about different future visions of society. There are alternatives, after all. For many young people, the first taste of history unfolding may be as disorientating as it is exhilarating. Nowhere is that clearer than in the contemporary disputes about identity. Who we are is now a constant matter of dispute. Are we European or British? Are we defined by our ethnicity or nationality? Which of the 71 Facebook gender identities will we choose? Martin Luther King’s dream that his children would “not be judged by the colour of their skin, but by the content of their character” is routinely turned on its head. The convictions you articulate and the principles you espouse can be trumped by censorious epithets like “as a black woman”, “as a gay man” and “as a Muslim”. Western university campuses are just the most visible sites where ideological battles have given way to internecine warfare between identities which jostle for recognition and check each other’s privileges. 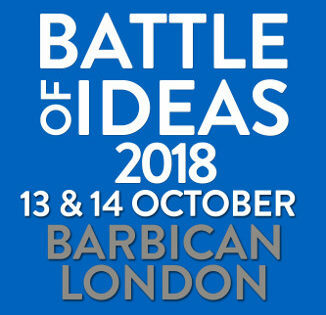 At the Battle of Ideas this year, the Institute of Ideas will not only explore this core theme, but also attempt to reassert the universalist principle that what matters are the ideas espoused and not who is espousing them. The rise of identity politics has led to controversy about cultural appropriation. A variety of people, including popstars, yoga instructors and owners of Mexican-themed restaurants, have been censured for using aspects of other people’s cultural identities without permission. Novelist Lionel Shriver has been attacked just for asserting the right of authors to “step into other people’s shoes, and try on their hats”, to write from the perspectives of people different to themselves. To do otherwise would mean the end of universalism, solidarity and creative innovation. The Battle of Ideas promises therefore to be a living embodiment of cultural appropriation. It recognises that the development of religion, philosophy, science, the arts and technology is the cumulative outcome of communities borrowing, copying and appropriating aspects of the cultures they encounter. 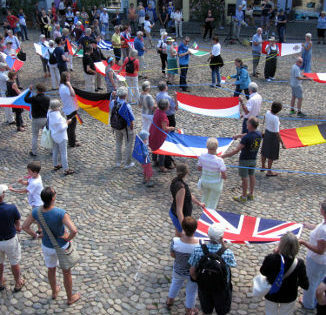 It opposes both the fashionable, faux-internationalist identity of the cosmopolitan citizen of the world and the claim that only people who are members of a particular culture are able to understand that culture. Similarly, it believes that culture and politics should be about appropriating, sharing and assimilating the products of a diverse range of human experience. Let’s make a virtue of “stealing” ideas, and show that we are prepared to transcend our own cultural ghettos. The Battle of Ideas encourages an audience of free-thinkers: inquisitive and opinionated attendees prepared to listen to opinions they have never heard before, to argue with those they disagree with and to try on new hats, however uncomfortable they might be. 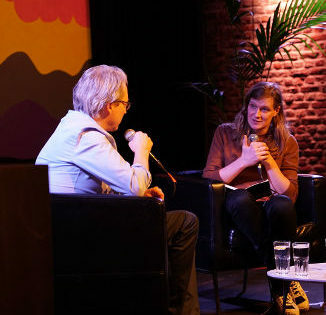 In 2016, the festival’s slogan was “free speech allowed” and was intended as an antidote to today’s climate of offence-taking. On Saturday the 22nd October 2016, the Academy of Ideas discussed what is commonly described as the new populism, looking at how new movements are suddenly replacing traditional political parties throughout Europe and the US. On Sunday the 23rd October, the Academy of Ideas and the Times Higher Education held a debate on identity, looking what role the categorisation of people plays in self-identification, society and debate. Over recent decades, identity politics has become ubiquitous. The content of what one says, the convictions one articulates, the universal principles one espouses are turned to dust by those dread phrases: “as a black woman”, “as a gay man” or “as a Muslim”. Western university campuses are just the most visible locations of where left/right political battles or material interests have been usurped by internecine warfare between competitive personalised identities, jostling for recognition and checking each other’s privileges. People increasingly categorise themselves by race, gender, sexuality, religion and culture. In his book, Humanism Betrayed, Professor Graham Good calls it “the new sectarianism”. Of course, there is nothing new in seeing identity as important. Yet, historically, progressive political movements have fought for people not to be defined by their race, religion, gender or sexuality. Modernity has been the story of forging one’s identity in defiance of birth or biology, through what you can achieve by engaging with the world beyond yourself. Increasingly, though, radicals seem to be rediscovering the lure of essentialism. Privileged millennial activists claim that historical injustices, such as slavery, continue to cause them pain and suffering because of their colour and Western-born wannabe jihadis claim they are motivated by assaults on the global ummah. After the massacre at the Pulse gay nightclub in Orlando, some LGBT activists fought for exclusive “ownership” of any solidarity. Self-conscious identitarians retreat into segregated safe spaces at universities, with increasing demands for LGBT only accommodation in the UK and “racially-themed dorms” in the US. There are spasmodic backlashes: American columnist Michael Tomasky decried the “million-little-pieces, interest-group approach to politics”. The splintering of identities can also be easy to lampoon – which of the 71 Facebook gender identities will you choose from? However, identity politics seems remarkably resilient. Ironically, while support for Donald Trump is understood partly as a backlash against political correctness, Trumpian new nationalism has recently been described as “a brand name for generic white-identity politics”. Meanwhile, in France, clampdowns on the assertion of religious identity (fought over the summer through the state’s ban on the burkini) take the form of an assertion of French secular identity. What is it about our society that is so hospitable to new identities yet seems unable to affirm any more universal political ideals such as democracy and equality? Can the historical, more humanistic identities which once gave meaning to people’s lives – from institutions such as the family, class and nation to political movements for change – be reconstituted? Or were these concepts too broad to represent everyone? Philosophically, how should we seek to construct a sense of ourselves today? What is the truth about “post-factual politics”? On Sunday the 23rd October 2016, the Academy of Ideas and Newsweek held a debate on “post-factual politics”, asking what is the future of experts and whether their prominence doesn’t often remove some of the democratic accountability of decision-making. The Brexit referendum result and the US presidential campaign have both fuelled concerns about the rise of “post-truth politics”, with many painting 2016 as the dawn of a post-factual era. After all, Donald Trump has called fact-checking an “out-of-touch, elitist media-type thing” and his seemingly cavalier relationship with truth seems to stretch far beyond even the most cynical spin-doctoring of mainstream politicians. And, Brexit leader Michael Gove’s now infamous claim that “people in this country have had enough of experts” continues to provoke outrage. Many asked pointedly if he would dismiss the expertise of doctors when ill and people in the science world have taken his remarks as a rejection of empirical research and a challenge to the efficacy of evidence. Populist politicians aside, what are we to do with “ill-informed voters”? Almost the whole global economic, scientific and financial establishment lined up to warn of the consequences of Brexit, but 52% of the country ignored them. Why, when data and quantitative information is everywhere, does it seem like people still prefer to “vote with their hearts”? Some blame the media for running attention-grabbing half-truths in their headlines. Others argue it is up to the experts to go on the offensive in order to get their insights across. Yet, when one expert advocates using “our skills not only as subject specific experts, but as teachers, to try to nudge society towards a democratic process based on true critical thinking” is an important point being missed? This appears to assume that the public would follow expert advice, if only they better understood; that there is no room for legitimate disagreement or debate. In fact, those who see experts as a new “priestly” class argue that far too much of political life is being outsourced to experts – whether at the Bank of England or in the government’s “Nudge Unit” – with huge swathes of decision-making subsequently being removed from democratic accountability. Some argue that this political privileging of expertise is the real threat to expert knowledge, representing an erosion of knowledge as an end in itself. Increasingly, academic and scientific research is expected to serve a social or economic purpose; “policy-based evidence” in support of an implicit political agenda. Indeed, might some of those bemoaning “post-truth” politics simply be reflecting disbelief at the fact that the experts’ own liberal-cosmopolitan worldview has been challenged? What is the future for experts in an era of “post-truth” politics? Have experts been over-reaching into areas where what is needed is not so much facts as political principles? Or, if the facts are dismissed, will society sink into a mire of prejudice and superstition, with policy little more than a non-evidence based shot in the dark? 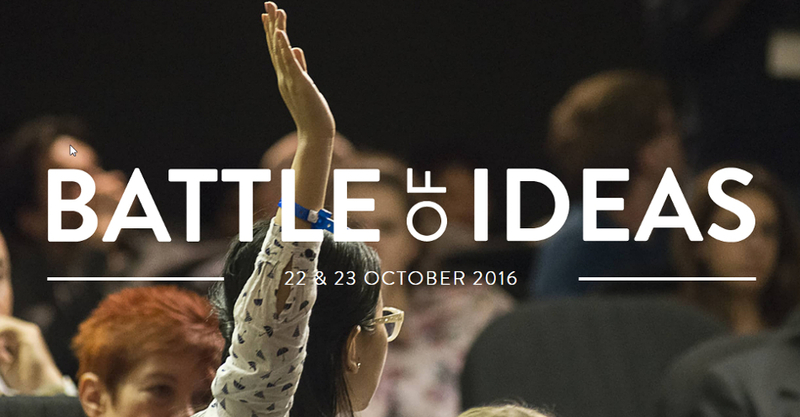 To access a full programme of events on the Battle of Ideas’ website, click here. A full list of speakers can also be accessed by clicking here. Additionally, there are a number of satellite events taking place in the UK and throughout the rest of Europe in September, October and November and you can access a full list of these by clicking here.